Hey friends! It’s Maryám here and today I’m going to share with you a traveler’s notebook spread using the beautiful June 2017 printables designed by Sheryl Banares, and also some stuff from the shop. On the right side of the spread I created a cluster of embellishments, and over the tags I put my journaling that I previously wrote with my typewriter. To embellish the cluster I added some butterflies, enamel dots, puffy stickers and some rubber shapes. On the other side I put a big photo with a flower and tiny word from the printables on the top. I had already used the photo of my spread in another layout, but I decided to print it again in a bigger version because I like that photo so much! I hope you liked my project and don’t forget to use the AMAZING printables of this month, and don’t forget to check our shop to see more fun stuff. Categories: Field Notes | Tags: Clique Kits Die Cuts, Clique Kits Printables, Maryám Pérez, Travelers Notebook | Permalink. Good morning everyone! I am back with another mixed media layout. For this layout, I decided to play with a variety of embellishments and printables using the April Clique Kit! I used the Pink Paislee and Bella Blvd. papers for my base. Then I printed this month’s printables on white cardstock and hand-cut the images using a pair of scissors. Once I had the squares adhered and my photo mat adhered to the bottom of the grid, I splashed some mist on to the layout. Once dry, I added the embellishments and photos. I just love the pretty colors in this month’s kit. And the printables from this month’s kit really compliments the kit so well. The circles at the top was a last-minute decision. I love this patterned paper from Paige Evan’s collection and knew that if I didn’t use the left-over scraps from this paper, it would go in the trash… so I hand-cut them and added them at the top of the layout to create a fun border for the layout. I used one of the Clique Kits exclusive journaling cards to hand-write my journaling. Categories: Art Studio | Tags: Bella Blvd, clique kits, Clique Kits Printables, mixed media, pink paislee, pretty little studio, scrapbooking, Shimmerz Paints | Permalink. 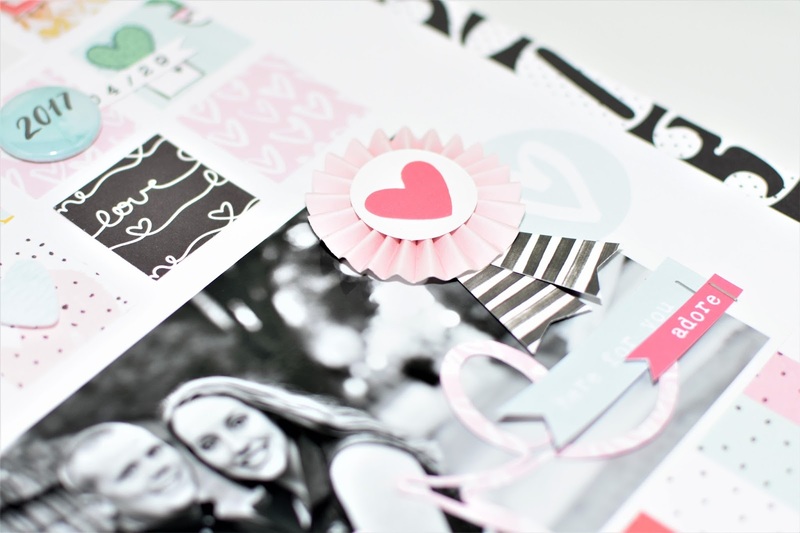 Today I am sharing a page I made with the new April kit, “Jellybean”! It is absolutely gorgeous and full of amazing, bright colors. For our Geek Lab, I am going to be using cut files, AND using the exclusive PRINTABLE that comes with the kit! There were two particular things that inspired me for this page: a piece of the exclusive flair that says “she’s crafty”, and a piece of the Bella Blvd “Make Your Mark” paper with lots of colorful paint strokes. I had a photo of my daughter watching a Bob Ross video on YouTube and painting, so I thought these items would be a great way to highlight this photo. I began by cutting out some large paint stroke shapes from a digital cut file and also the word “Art”. I planned on backing these areas with the bright paint stroke paper. I used a dry, 1″ paintbrush to stroke some areas of dark paint and over my title area and for some journaling areas. I framed my photo with a cut file frame to make it look like a picture frame and hung it with some twine and a brad from my stash. I embellished with cut outs from the exclusive printable that includes phrases and lots of tags and other elements. There were also quite a few Bella Blvd bits that had sayings relating to making art and creating, so I had to add those in! Finally, I added some stitching and doodled some stars. Thanks so much for stopping by and don’t forget about the printables that come with the kit! Categories: Geek Lab | Tags: Audrey Yeager, Bella Blvd, clique kits, Clique Kits Printables, Digital Cut Files, Elle's Studio, freckled fawn, mixed media | Permalink. Hi everyone. I have a fun layout to share with you using the January Clique Kit. There is a lot of pink in this kit so I figured this month was the perfect month to start creating layouts for my sister using her engagement photos before she starts throwing hints at me. I am surprised she hasn’t asked me yet. LOL. 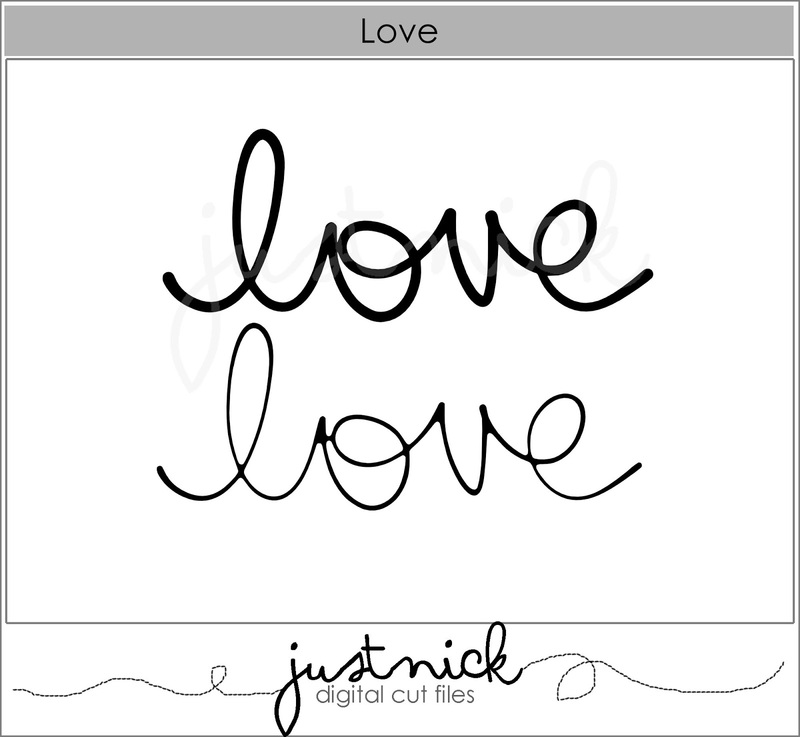 I decided to use Just Nick’s digital cut file for my title. I love this cut file. I stamped the 04/29 on the back of a scrap piece of paper and created my own little banner so that I could use the “2017” flair. That is the date these two little love birds are getting married. I love the little word label printables that came with the Clique Kits. They make great fillers for just about any project. I can always find a good use for them. Products: Patterned Paper: Bella Blvd., Crate Paper, Printables: Flair: Clique Kits, Wooden Enamel Dots: Banner Die cut: Crate Paper, Digital Cut Files: Just Nick Studio. Thanks for stopping by today! We have a few of these kits left if you want to grab yours from the store! Click here to purchase this beautiful kit. Categories: Geek Lab | Tags: Bella Blvd, clique kits, Clique Kits Printables, crate paper, Digital Cut Files, january 2017, Just Nick Studio, Nicole Martel, pretty little studio, scrapbooking, Silhouette of America | Permalink. Hello everyone! 🙂 It’s Maryám here to share another project with the raskog kit. 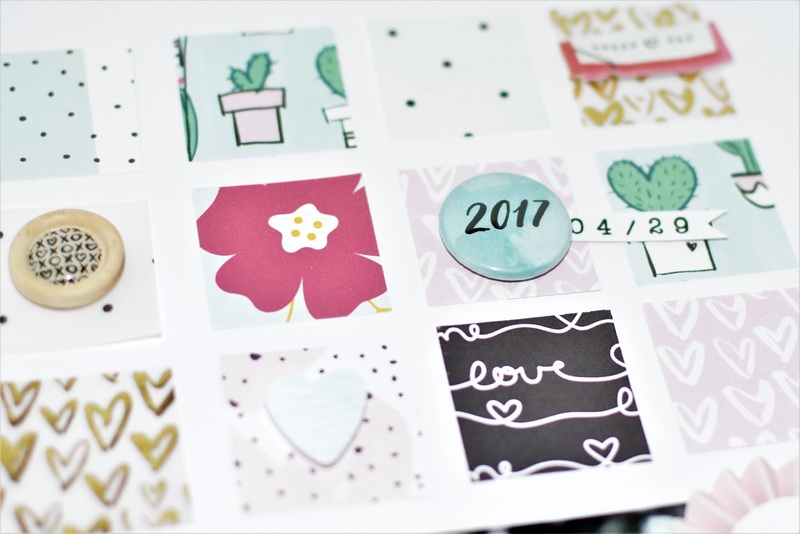 Today I’ve decided to use the printables of this month to create a layout. When I saw this paper immediately I thought in the printables. So, I’ve opened Photoshop and I’ve changed the size. I’ve also added a little bit of journaling and I’ve printed them. I love these Rubber charm stickers! ❤ Of course, they are included in the Raskog kit. I hope you liked my layout. See you soon! Categories: Geek Lab | Tags: #ckraskog, Clique Kits Printables, Layout, Maryám Pérez, pinkfresh studio | Permalink.